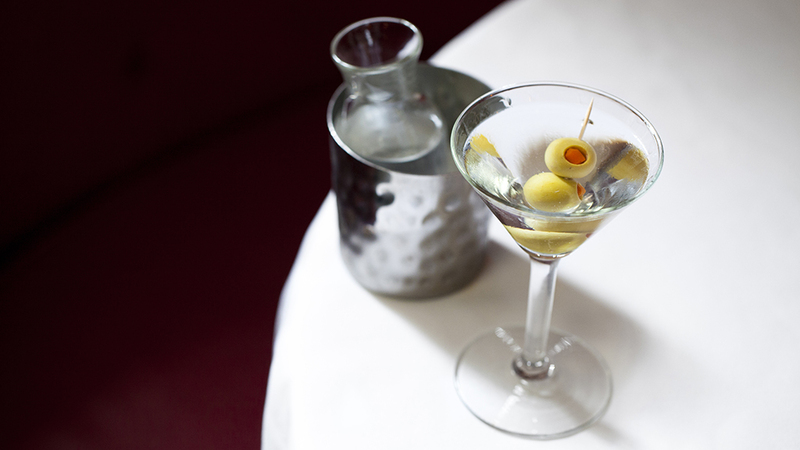 Is there a sexier drink than the martini? 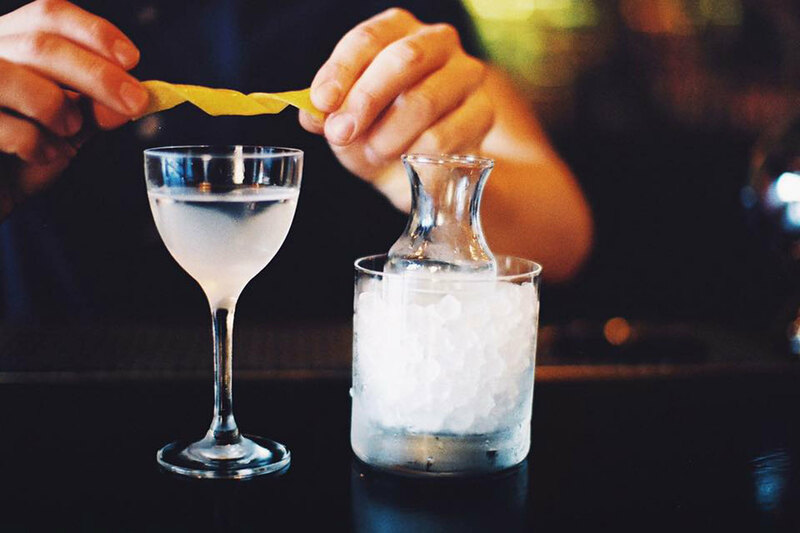 Whether you like it shaken or stirred, we found the best versions in the city. There are plenty of ways to drink a martini: shaken or stirred, dirty or dry, gin or vodka, a 50/50 blend or just a splash of vermouth. James Bond had his preferences, but so does every martini drinker, whether they're asking for one in an upscale cocktail bar or a haggard-looking dive. 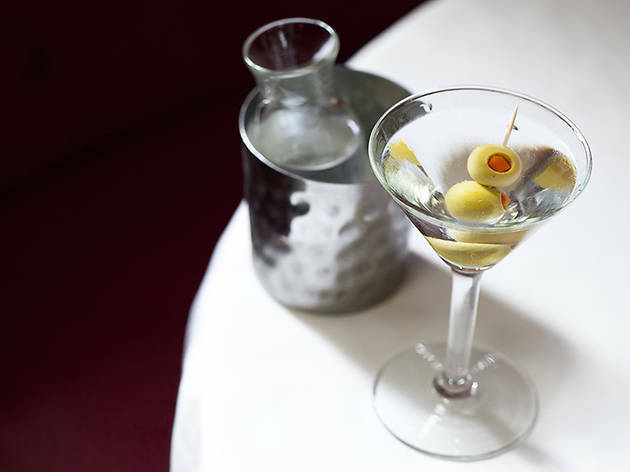 A Musso & Frank Grill martini is one of LA's signature cocktails, but there are plenty other variations that deserve a hat tip around town. 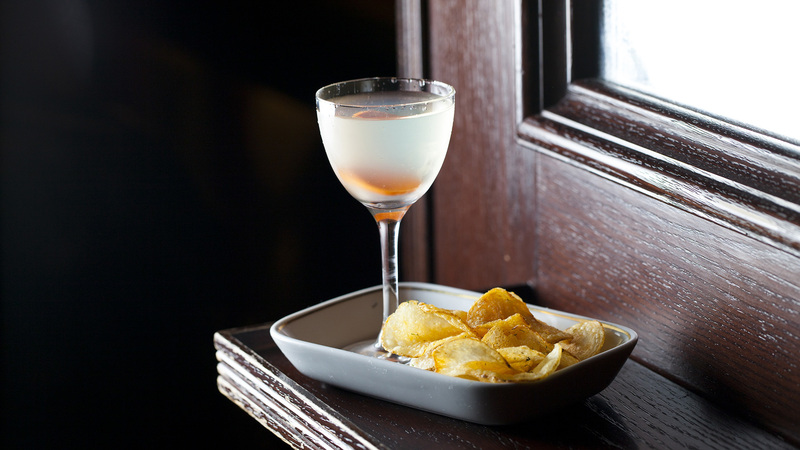 Here are our favorites, from a gin martini accompanied by potato chips to a vesper garnished with a simple twist of lemon. Open since 1919, Musso & Frank Grill is Hollywood's oldest restaurant, a steak-and-cocktails joint formerly favored by Charlie Chaplin and Raymond Chandler. 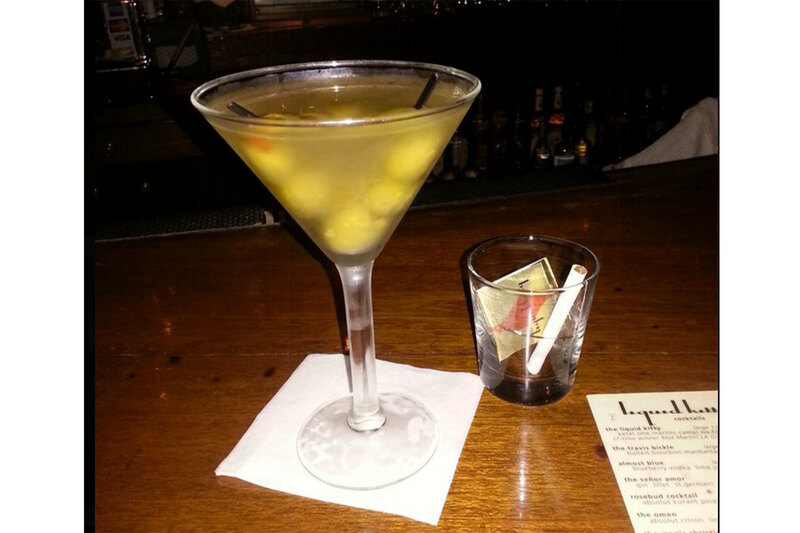 The history here is palpable, but you don't have to be a movie star to try their famed martini. These beauties (gin is favored among the older crowd, vodka among the younger) are stirred, not shaken, and topped with two olives and only a splash of vermouth if requested. While the martini is served throughout the week, the steadfast crew here makes more than 800 on a Saturday night. If you aren't already a martini drinker, Musso & Frank's version will make you an immediate convert. A bowling alley might not be the first place you’d think to grab drinks in Hollywood, but this isn’t any ordinary bowling alley. Stashed away in the shadowy mezzanine above the Hollywood Roosevelt Hotel lobby is the Spare Room, devised to evoke pure revelry. 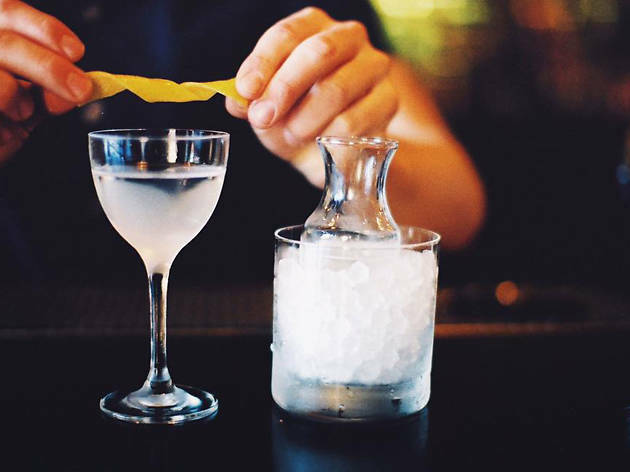 Head bartender Yael Vengroff is a cocktail guru, crafting unique variations on classics. 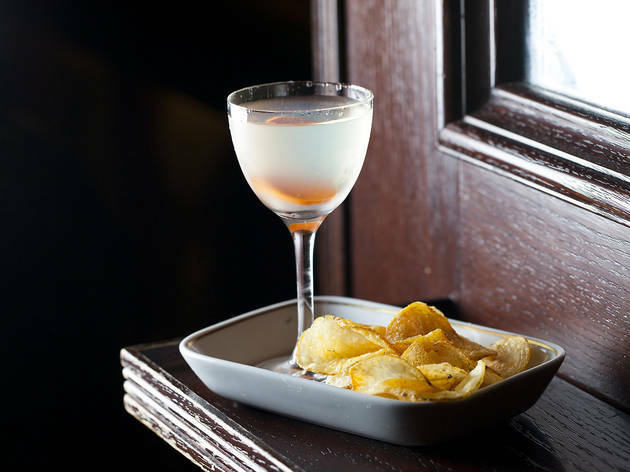 For dirty martini drinkers, the Salt & Vinegar Martini—made with potato vodka, dry vermouth, pickle brine and celery shrub—takes the drink to a whole new level. It comes with potato chips, which we realize is now the only way to truly enjoy a dirty martini. And it’s worth noting: Vengroff spent two years perfecting this cocktail, so that alone should be worth giving it a try. 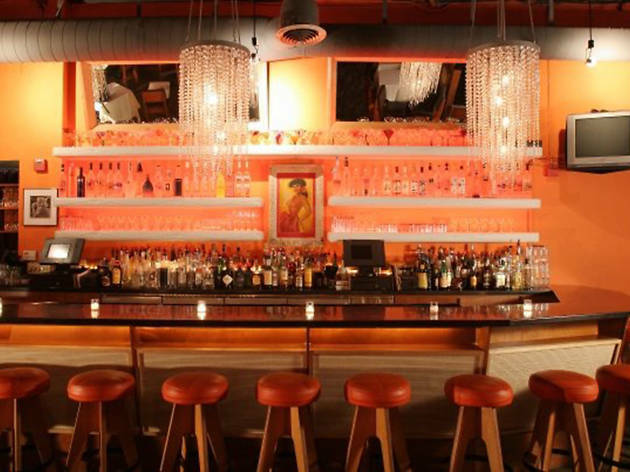 Kitschy martini bar and lounge Liquid Kitty serves up a refreshing break from the mainstream Hollywood bar scene. It's dark, it's gritty, sometimes there's erotica projected on the wall, and the drinks are noticeably strong. 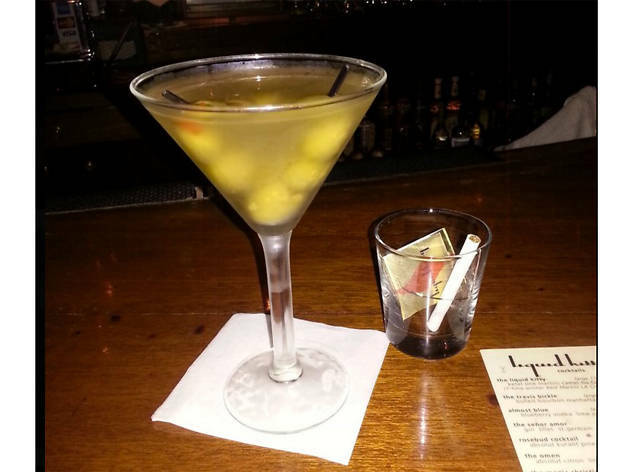 The namesake martini uses Ketel One vodka and comes with an unfiltered Camel cigarette (which you'll have to take outside, of course). Stop by during happy hour (5-8pm) and you can score one for $6. Perhaps Raymond Chandler put it best: “The first quiet drink of the evening in a quiet bar—that's wonderful.” Such an establishment can be hard to come by in LA, but it does exist, believe it or not, on the ground floor of the Best Western Hollywood Hills Hotel in the aptly named MiniBar. This 32-seat hideaway offers an outstanding martini called the Bernard, named after one of the hotel's owners, Bernard Adler. 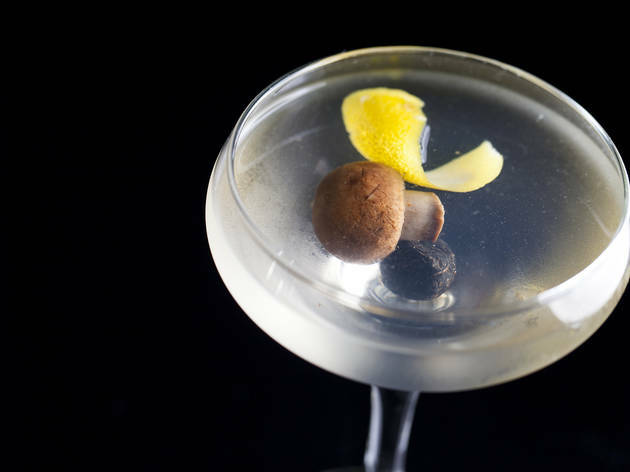 The drink is an improved gin martini with more than one twist; in addition to salt-cured olives, it comes with a pickled mushroom. Strong and intense without being overwhelming, it's a cocktail that deserves to be sipped slowly in the low-key surrounds of a bar gone unnoticed. 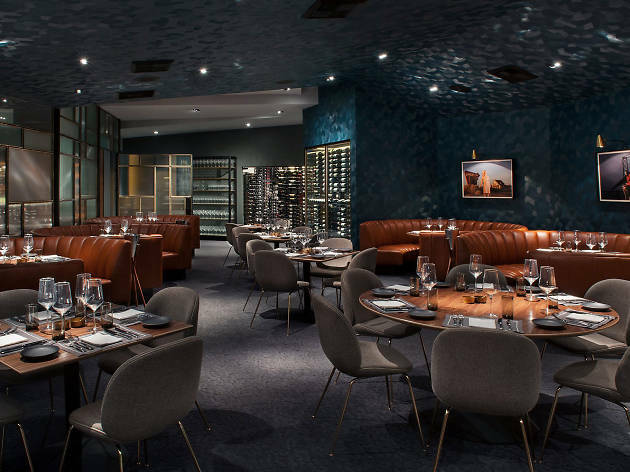 After a massive renovation, Bunker Hill's upscale restaurant Nick & Stef's Steakhouse is back in action with a revamped menu and mid-century modern flair. 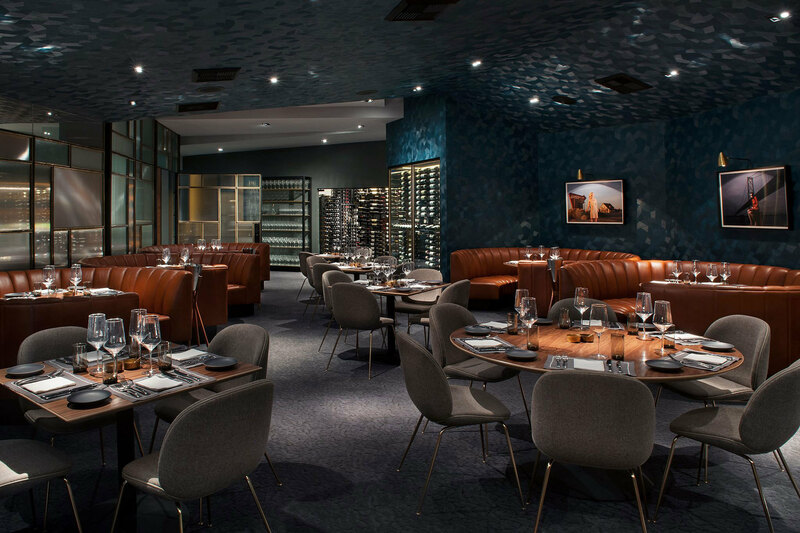 Coral blues, caramel and brass hues decorate the space, but it's the onsite curation of quality steaks that really speaks to the restaurant's focus. And what goes best with a steak? A kickass martini, which Nick & Stef's has in spades. 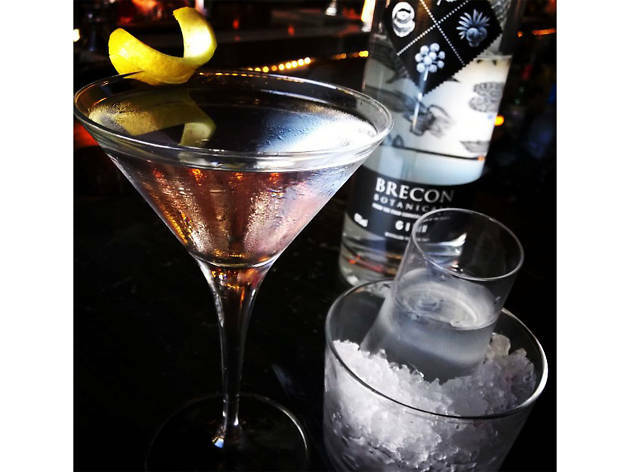 The Nick & Stef's Martini is a classic blend of Plymouth gin and dry vermouth, stirred and garnished with a Castelvetrano olive or lemon twist. 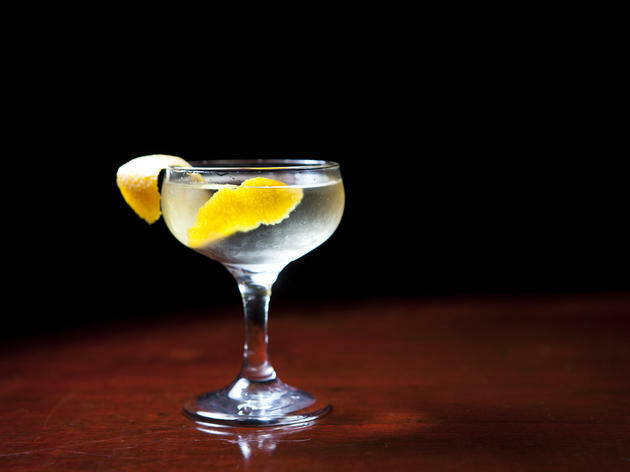 It's a stiff one, so if you're into something a little smoother, the Reverse Vesper might be more your style: Plymouth gin, Kettle One vodka, Lillet Blanc and a grapefruit peel. Situated a comfortable distance from Hollywood Boulevard, Three Clubs is a Hollywood bar for people who hate Hollywood bars. With its deep red interior compounded by carpeted floors, velvet wallpaper, mahogany paneling, black leather and a sparkly black ceiling, it’s an atmosphere that immediately demands a martini—thankfully, they make really fantastic ones here. 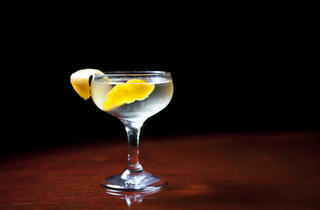 Particularly noteable is the vesper variation, made with gin, vodka and Lillet Blanc. 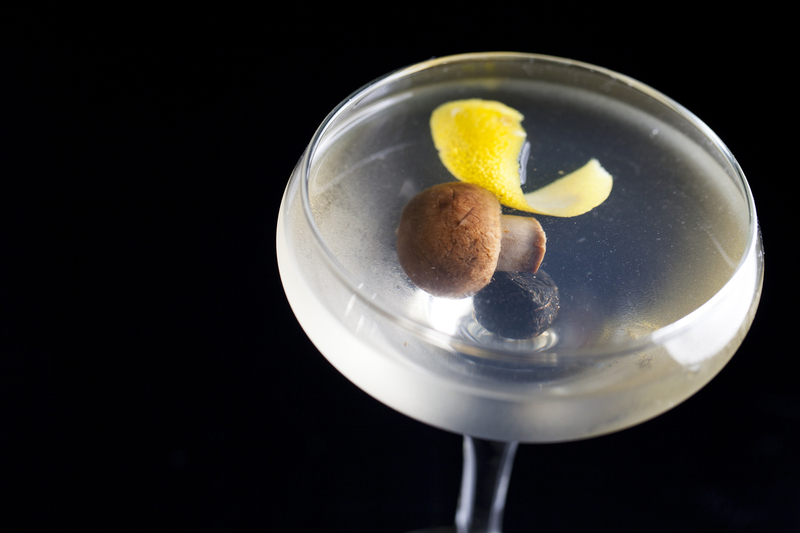 Garnished with a lemon twist, it's a drink that would make James Bond proud. How could Nic's not be on this list? 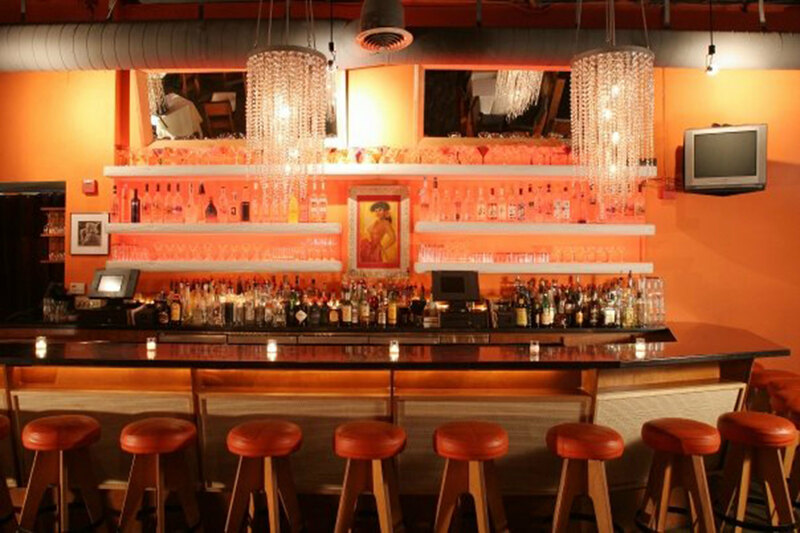 The Beverly Hills restaurant features the VODBOX, a walk-in, drink-in freezer showcasing an impressive array of vodka selected by Larry Nicola, Nic's Vodkateur (yup, that's a thing). Guests wear faux fur coats inside the VODBOX while sipping on vodka flights, but you can enjoy a martini in the restaurant, too. An entire section of the menu is dedicated to the drink, with variations that include a Blue Goose Fuego (vodka with blueberries and serrano chiles) and Coco for Coconuts (Toast vodka, coconut nectar and coconut flakes). Take a trip back to the ‘60s and drink like you have a first-class ticket with your name on it at this snazzy, aeronautical-themed West Hollywood boîte. The airplane motif isn't exactly subtle, but somehow Now Boarding narrowly escapes being kitschy. One reason to land? Their take on a martini, called From Russia with Love. 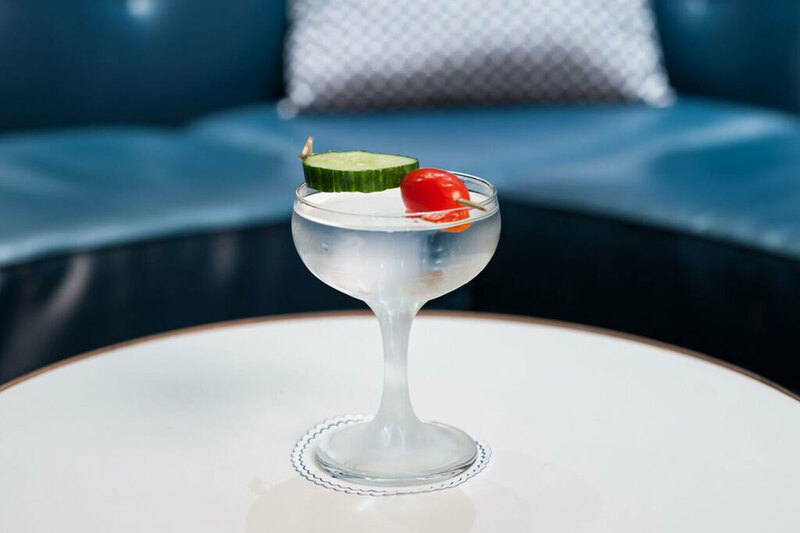 Made with Beluga Noble vodka and Dolin Blanc, stirred and served up, it's garnished with a cucumber and cherry tomato to conjure up green and red lights flashing on an airplane. 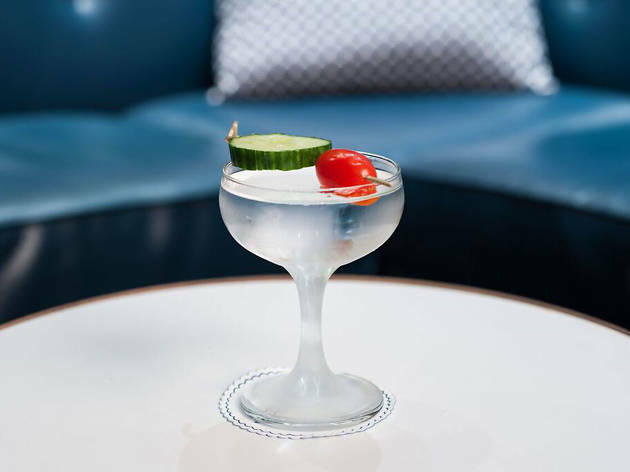 The Normandie Club is known for doing classics right, so it's only natural that the martini here is a home run. Made with Aylesbury Duck vodka, Lustau Puerto Fino sherry, raw honey and sel gris (sea salt) for a savory sip, it's an easy-to-drink libation that comes with a chilled sidecar for a round two—which you will definitely partake in. La Cañada Flintridge isn’t exactly known for its nightlife. So it may surprise you that this sleepy suburb, tucked into the foothills between Pasadena and Glendale, is home to the “world’s largest gin selection”—at least according to the owners of the Flintridge Proper. 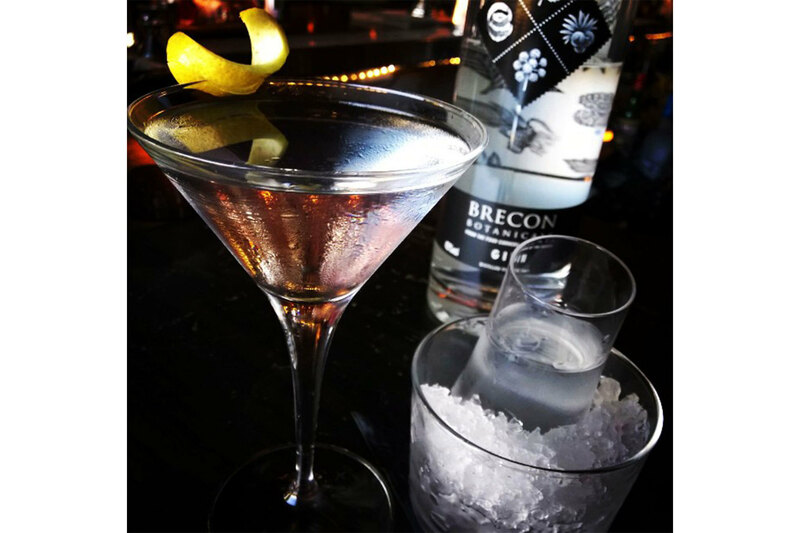 Here you'll find the Proper Martini, an outstanding classic cocktail made with a dash of orange bitters, Plymouth gin, Dolin vermouth and a rinsed olive. It's a hefty portion, too; the martini arrives with a chilled sidecar for a second pour. Bottoms up! The Spare Room's Yael Vengroff shows us how to make this classic drink.